Unicorn Store (film, 2017). A 2017 American fantasy comedy film by Netflix. Directed by Brie Larson. Official Trailer. Unicorn Store is a 2017 American fantasy comedy film directed by Brie Larson. 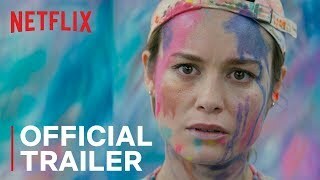 Unicorn Store | Official Trailer | Netflix. Kit (Brie Larson), a failed artist, moves back in with her parents (Joan Cusack, Bradley Whitford). Realising she must conform to adulthood like her parents always wanted, takes up an office job at a temp agency. However, once she receives a mysterious letter from "The Salesman" (Samuel L. Jackson) who invites her to "The Store", the place that sells "what you need", her entire outlook changes. The Salesman offers her the chance to have it all by fulfilling her childhood fantasy: owning a unicorn. She must do things to prepare for ownership of a unicorn. She receives the "things" via files from the Salesman. The first one is to provide a place for the unicorn to live. Kit goes to the hardware store and meets Virgil. She hires him to build a stable. She does not tell him what she is building it for. They begin to talk and spend time together. She is also working a temp job where her boss, Gary, is clearly just as socially awkward as she is, however, he is definitely inappropriate when he speaks to Kit. Eventually she is given the second file and she must prepare to feed the unicorn. Kit and Virgil buy hay on a day trip together and get to know each other better. Kit is given an opportunity to present a marketing idea for a vacuum at her temp job. During this time, Kit receives the next file and learns she must show love. Her relationship with her parents is dysfunctional by emotional standards and had left her empty, hurt and angry. On the weekend she should be preparing her presentation for work, she goes on a "Emotion Quest" Wilderness trip with her parents. She confronts them during the 'truth circle' timex which leads to a family meeting/discussion. Afterwards, when Kit is back home she finds inspiration for her presentation through her father's words of, "stop hiding who you are.". Kit also finds out in her next file from the Salesman that she must show that she can provide for the unicorn financially. Kit's presentation is flamboyant and very much so beyond the comprehension of the suits and when the decision lies with her inappropriate boss, he decides to go with the over-sexed presentation by two very stiff suits. Kit quits/half gets fired and spends time with Virgil. He begs to know what Kit is building and she finally tells him. They go to the "Store" only to find it is empty and Kit's hopes and dreams fade to anger. Virgil becomes very concerned for Kit and they argue, Kit storms out and leaves him standing in the store, that is when he notices hay on the floor. Principal photography began in November 2016, in Los Angeles, California and concluded on December 9, 2016. 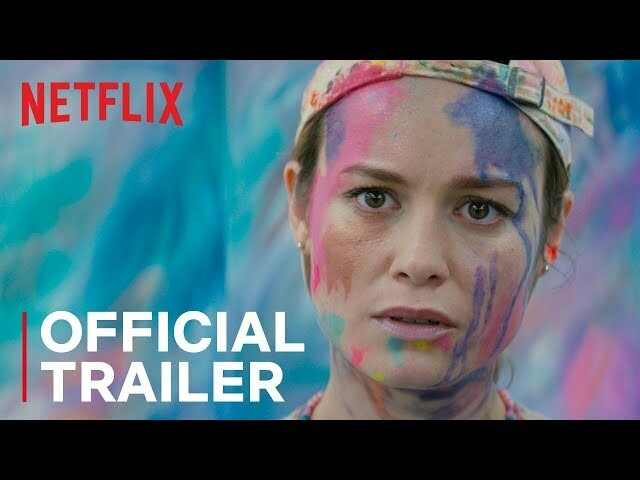 The film Unicorn Store was scheduled to be released by Netflix on September 11, 2017 (TIFF) and on April 5, 2019 (United States). Unicorn Store got average rating from critics. The audience dislikes the film either.